Liverpool get a welcome break from the pressures of the Premier League title race next week as they host Bayern Munich at Anfield in the Champions League. Even though the Champions League is not Liverpool's top priority this season, their history demands that they take it seriously, and Jurgen Klopp will be determined to add to his two runners-up medals by making that final step to glory. After last season's run to the final, there's no reason why ​Liverpool can't go all the way this time. Here's five good reasons why they can. Though injuries have recently taken their toll on Liverpool's defence, a full strength Reds back line is the best they've had in years. Andy Robertson and Trent Alexander-Arnold provide attacking threat down the flanks, while Virgil van Dijk is a rock at centre back. 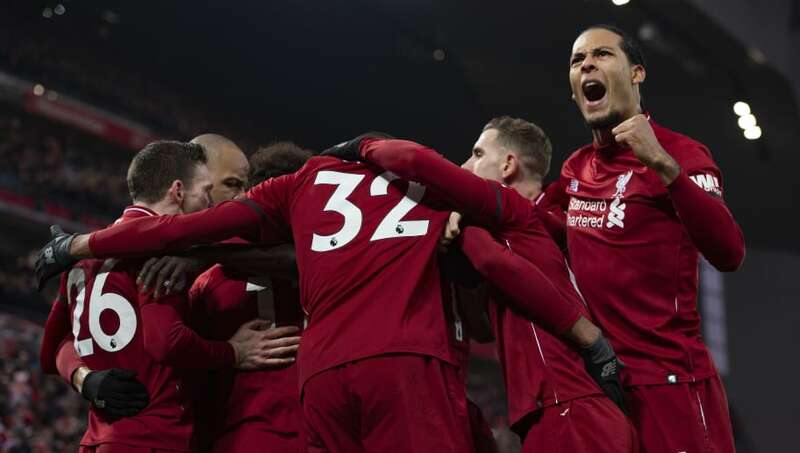 Yes, van Dijk is suspended and won't be able to play against Bayern next week, but if Liverpool come out of that match with a good result, the returning Dutchman will be their best hope of going all the way to the final. If Liverpool make it through to the quarter-finals, they will also be boosted by the return of Joe Gomez, who is expected back in March following surgery. He and van Dijk were brilliant together in the first half of the season and their reunion could be key to Liverpool's chances in both the Premier League and Champions League. When Mohamed Salah was forced off in the first half of last season's final, the best option available to replace him was Adam Lallana - a player who had started just three matches in all competitions all season. This season, Sturridge is back and scored against Paris Saint-Germain in the group stages, while Xherdan Shaqiri has also been effective since his summer move from Stoke - and he will have a point to prove against former employers ​Bayern Munich. In both of those games, Jurgen Klopp had to take his share of the blame. He made attacking substitutions when he didn't need to, and his failure to shore up the defence proved costly on one occasion, and nearly proved costly on the other. The main reason why Liverpool lost the 2018 Champions League final - apart from Sergio Ramos - was Loris Karius. Regardless of whether he was concussed or not, his second half mistakes proved that Liverpool needed a new goalkeeper. Liverpool only reached this stage because of Alisson's last minute save against Napoli in the group stage, so he's already proved that he can step up when it really matters. Anfield comes alive in the Champions League knockout stages. Many opponents who appear superior on paper have come here and wilted in front of the Kop, which will be in full voice again next Tuesday, adorned with banners boasting of Liverpool's formidable European pedigree. If you think European pedigree doesn't matter, ask Manchester City or Paris Saint-Germain. Both are cash-rich clubs with star-studded squads, but neither has been able to make an impact in the Champions League, and both felt the full force of Anfield in 2018. Bayern Munich goalkeeper Manuel Neuer has claimed that his team won't be daunted by the Anfield crowd, but we've heard that one before. The last person to say something similar was Napoli's Dries Mertens, and it didn't work out so well for him.